The Bluffs on the Waterway is a beautiful, exclusive gated community just steps to the Intracoastal Waterway. The community offers pools, two clubhouses, private boat storage and launch, tennis, children's play area and a grand entrance. All located in the award-winning encatchment area for Carolina Forest Schools. The Bluffs at the Waterway is close to the beach, shopping, the newly expanded international airport, restaurants and entertainment of Myrtle Beach. The Bluff at the Waterway features gorgeous, well appointed homes, many of which are "on the bluffs" overlooking the ever beautiful and fascinating Intracoastal Waterway. The Bluffs on the Waterway is conveniently located close to John Grissom Parkway, Highway 31 and Highway 17 Bypass. This prestigious community is so new, that most homes are still under construction and the roads are not yet on some maps. The Bluffs on the Waterway is a lovely, luxurious neighborhood to live in. As the #1 selling real estate agency on the Grand Strand, RE/MAX Southern Shores agents are experts when it comes to knowing where the best properties and best buys are in Myrtle Beach. If you're looking for one of the finest communities in which to build or design your dream home, it doesn't get any better than the Bluffs on the Waterway. Contact RE/MAX Southern Shores at 843-249-5555 for more information about these beautiful Waterway lots and homes in Carolina Forest. The Bluffs on the Waterway is a gated community with around 100 custom built homes and home sites on the Intracoastal Waterway. There are some brand new 3, 4 and 5 bedroom homes, ranging from $400,000 to around $800,000, and many lots or home sites, either lakefront or directly on the Waterway just waiting for your imagination! Lots are ranging in price from around $60,000 up to $300,000. Welcome to the search page for RE/MAX Southern Shores where you can find a highly qualified and trained real estate agent! 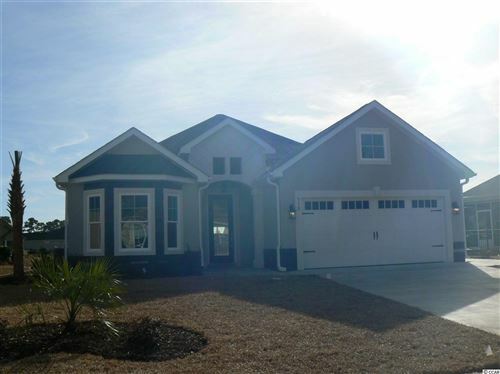 On this page you can input your specific needs to search The Bluffs on the Waterway as well as all of Myrtle Beach, South Carolina real estate to find the perfect property for YOU. Use the form on this page to search Intracoastal Waterway real estate listings at The Bluffs on the Waterway or other Grand Strand communities. RE/MAX Southern Shores agents sell both residential and vacation homes in this quiet section of the Waterway where newly constructed houses dot the bluff. They will find the home or buildable lot that YOU are looking for. If you have any questions, please contact our office at 843-249-5555 where RE/MAX Southern Shores agents are available every day to assist with all your real estate needs. We’ll help you navigate the touring, selection, negotiation, and purchase process for the Bluffs on the Waterway property that is perfect for YOU!